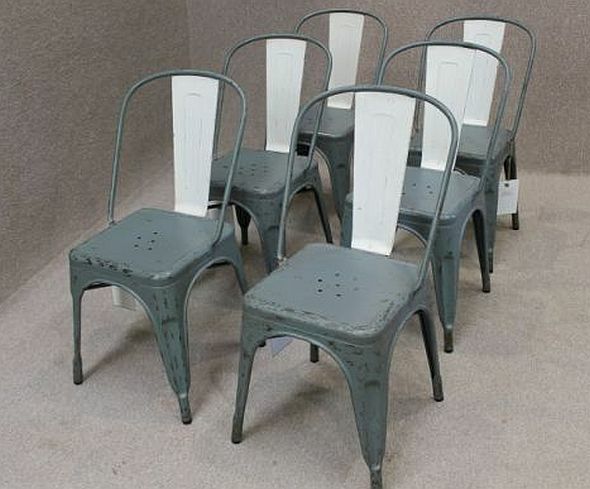 A grey Tolix style chair, just one model of Tolix style chairs we have in stock. 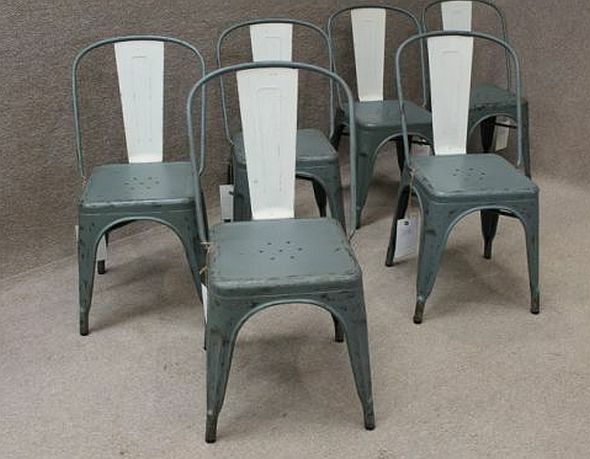 Available in a range of colours this ever popular grey tolix style chair blends well with vintage and contemporary interiors; a wonderful take on a traditional 1920s style French cafe pressed steel and tubular industrial chair. 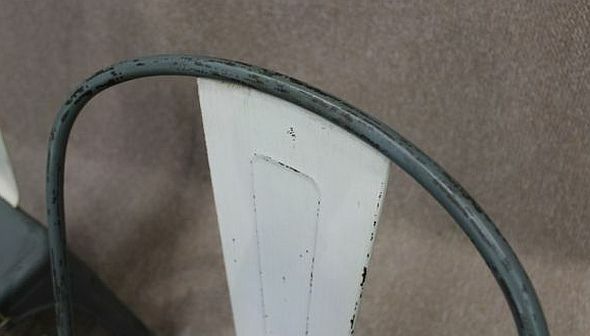 All the chairs have quality nylon inserts to the feet to prevent any damage/scratching to flooring. 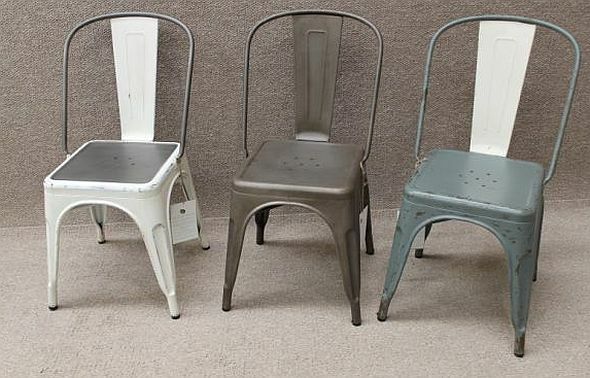 They all are extremely comfortable due to their shaped seat, and with their shabby chic paint work and brushed steel finish, give a real contemporary twist to any interior, perfect for the industrial look so popular today. 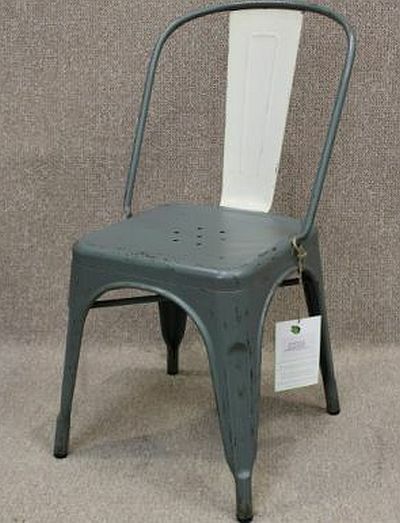 A strong sturdy chair, a classic design in any home or business. We can mix the various colours for an eclectic mix if required. 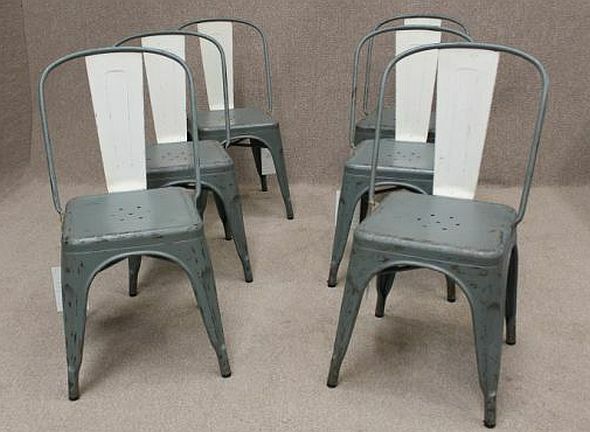 Please look at our other listings white tolix style chair and iron tolix style chair. We also have a large range of tables which match this style of seating. 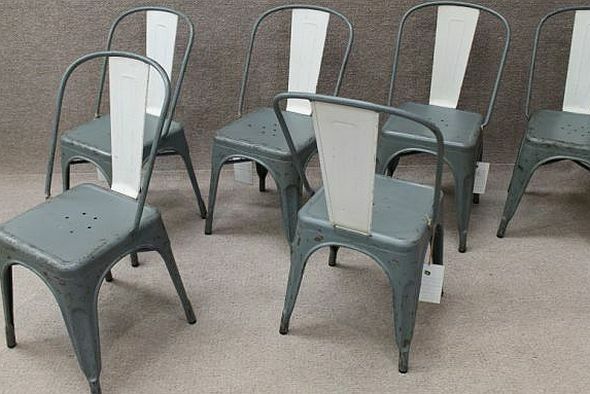 Please note – the price stated is for one chair, but we do have more available. 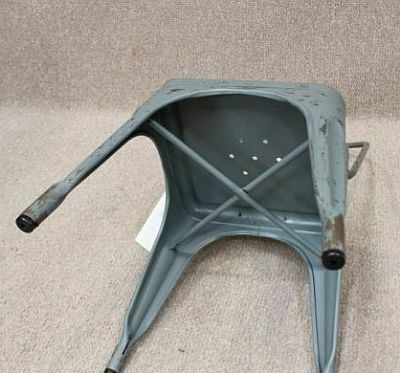 Please contact us on 01543 375872 for any further information you require about this item or any of our furniture.